Fun pair of super-sized, blow-up boxing 'gloves', that are more pillow sized. 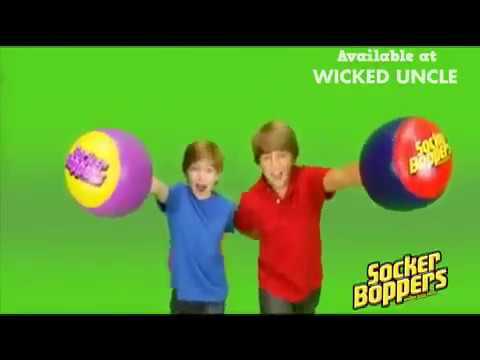 Just slip your hands inside a pair of these inflatable boppers and sock and bop away. Great for active play both indoors and out, and will fit hands of all sizes. Made from heavy-duty vinyl for long lasting rugged durability, each bopper is 25cm across and 18cm deep, with a double-cavity air chamber for extra cushioning. Soft and safe, much more fun than a pillow fight...sock it to 'em!! PLEASE NOTE : Colours are picked at random - you will receive either green or red.